Hey there and welcome to Dirt In My Shoes! 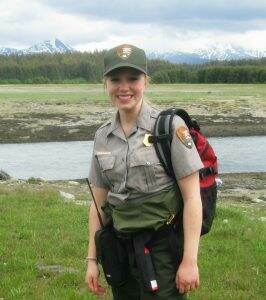 My name is Ash and I am a former park ranger…..I guess you could say that my love for the national parks runs incredibly deep! Actually, that’s definitely an understatement. Today I wanted to take a minute and share some of my favorite national park gifts with you (mostly things I’ve bought for myself over the years haha). 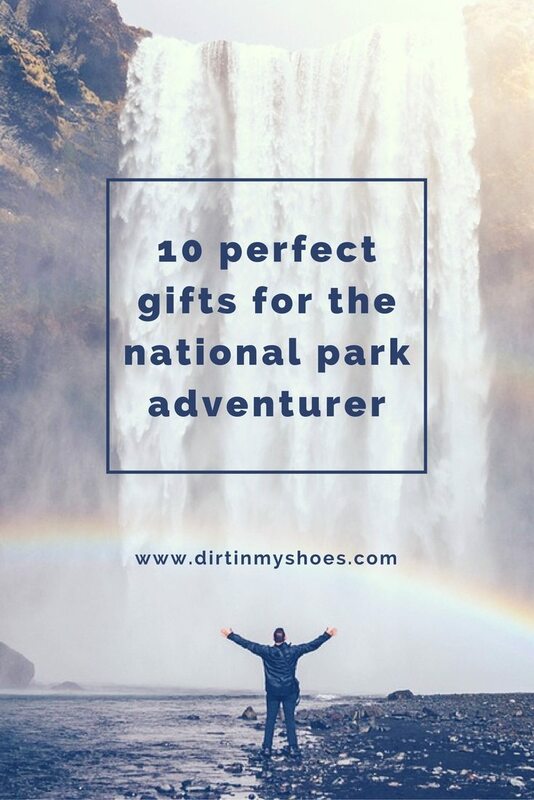 I’m doing this because I really want to help you find the perfect gift for the national park adventurer in your life! Or…if you happen to be a national park enthusiast yourself, this list is a great thing to pass on to your family and friends come Christmas or birthday time! You know, give them a little nudge in the right direction :). Give the gift of adventure with the America the Beautiful Annual Pass — it provides entry into all National Parks for a year! This pass is a fantastic way to give your friends and family the freedom to explore the wonders of the America wilderness without breaking the bank. This should definitely be at the top of your list!! Why? Anyone who loves the national parks will be absolutely thrilled to receive it! With this annual pass, you can visit all of your favorites parks and discover some new amazing places as well — you will run out of days in the year before you run out of possibilities with this pass! These stylish shirts, sweaters, and hats are awesome for the modern adventurer. Any one who loves the national parks will have fun showing off this gear and representing their favorite park! The best part? Each time that you purchase clothing from Parks Project, they donate money to fund habitat restoration, visitor programs, wildlife conservation, and youth education in the national parks — and that’s something we all can be proud of. Have you ever dreamed of owning a piece of a national parks? Now you can! Try out this fun and exciting take on the classic board game Monopoly — national park style. You can acquire all your favorite parks from Acadia to Yellowstone to the Great Smoky Mountains and develop camp sites and ranger stations. This twist is sure to be a hit for all your park-loving friends. Plus, a portion of your purchase is donated to the National Parks Foundation, the official non-profit partner of the NPS to support projects in the parks. If Monopoly isn’t your strong suit, other national park-themed options are also available, such as Jenga or Yahtzee. Believe it or not, now you can actually give someone a fully planned out vacation itinerary to their favorite national park! 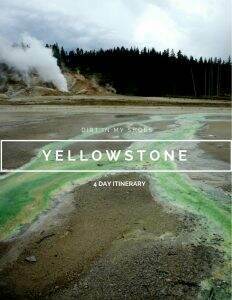 A Dirt In My Shoes itinerary is all it takes to have an absolutely phenomenal vacation! You and your loved ones want to share breathtaking memories as you visit the national parks, but planning and carrying out a trip is stressful! With these itineraries, I’ll show you how to avoid the crowds, organize your time, and see the BEST that the park has to offer. You’ll also get my favorite dining and lodging recommendations! This leaves time for you to focus more on the important things — exploring the beautiful national parks with the people that mean the most to you. You can find the itineraries here — or if you are wondering if an itinerary is right for you, check out these Dirt In My Shoes itinerary reviews. 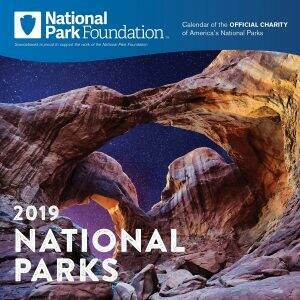 Celebrate a different park each month of the year with this National Parks 2019 Calendar. With compelling images from some of the most iconic landscapes in America, this calendar is a beautiful way to organize your schedule and plan your events. This item is created by the National Park Foundation — all profits from this product are used to support America’s national parks! You can click here to get a preview of the monthly photos. This calendar is available on Amazon. Chacos are my hiking sandal of choice, and now they come with national park themed straps! These shoes are fabulous for hiking, swimming, rafting…basically any outdoor activity that doesn’t require a closed toe. 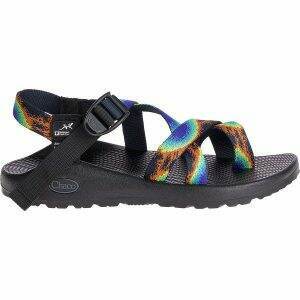 The sole provides great support and the straps are comfortable. I’ve had my Chacos for 10 years now and I’m just now starting to think about replacing them with a new pair. They’ve come to Alaska, Wyoming, and Utah with me as I’ve moved around for my park ranger jobs and have shown very little wear. Whether you are looking to know more about the history of the national parks, searching for your next dream adventure, or just want to admire stunning photography, this book will inspire you! Celebrating the first 100 years of the national parks, The National Parks: An Illustrated History takes you on the journey the history of these inspiring places, and the people who have made them into what they are today. Interwoven with the very best of National Geographic’s photography, this book is the ultimate guide to the history of the parks. 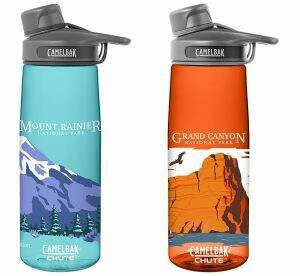 Now you and your friends can show off a gorgeous national park every time you reach for your water bottle! I’ve used Camelbak bottles and hydration packs for years and have found them to be well-made, functional, and durable. 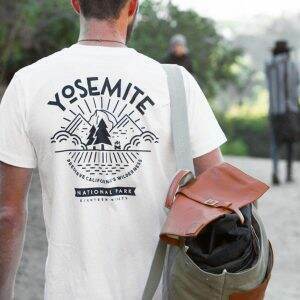 These designs are perfect for anyone who wants to proclaim that they love the national parks! Check out the prints for parks such as Joshua Tree, Grand Canyon, Mount Rainier, and Redwood on Amazon. 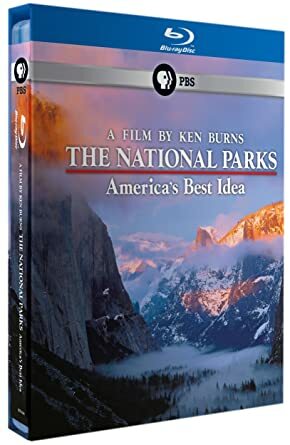 The National Parks: America’s Best Idea is an Emmy award winning series that highlights the history of the national parks. Telling the story as only Ken Burns can, this series of 6 episodes is rich in detail, showing the evolution of the parks over the past 150 years. With magnificent images of the parks and a compelling story, it’s easy for the national park explorer to fall in love with this beautiful gift. You can find this documentary on Amazon. 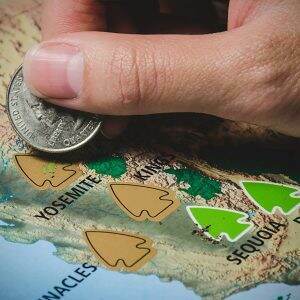 Perhaps the best thing you can give a national park enthusiast is something that will help them keep track of their travels! That’s why I love this National Parks Scratch Off Travel Map. It’s easy to see where you’ve gone and where you still need to go with this map! This gift is sure to be something that you will cherish for years to come. National Park Scented Candles: REI || Good & Well Supply Co. I hope this list helps you give the perfect gift this year. Next step….convincing your national park loving friend to take you along on their upcoming adventures! Happy trails! Do you have any comments, questions, or suggestions regarding this list of national park gifts? Let me know in the comments below! If your looking for a passport book I would recommend Passport To Your National Park Collectors Edition, it has more places and a wider variety than any other book I’ve seen. Awesome thanks for the info Scott! Great list! You should totally add Jeremy Collins’ calendar and shirts that also feature is amazing NPS artwork sold through Meridian Line!! Thanks for the recommendation…I’ll take a look! I wish there was a t-shirt that had an pictorial illustration of all the national parks in the United States. I saw a jigsaw puzzle that had one and had wished that pictorial illustration could have been found on t-shirts. By the way, I love your website! I have done 30 national park visits in my lifetime with more to go. Very cool! I’ve only seen shirts with a list of the parks…not pictures. I’ll keep an eye out though! Haha awesome! I’ll have to look it up!